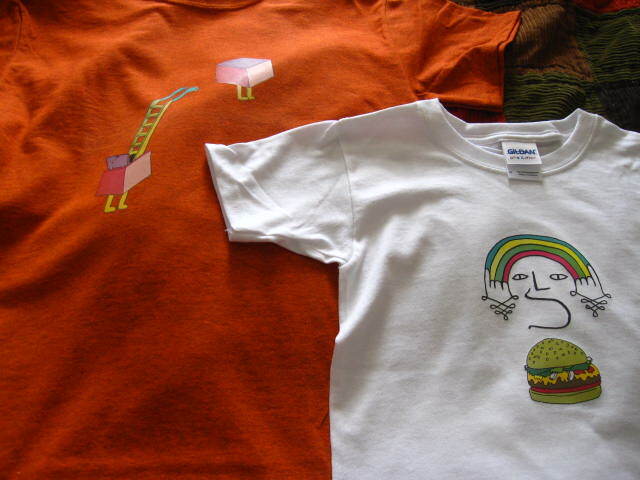 AC Moore was having a sale on t-shirts today, so I picked some up for Jay and Max. 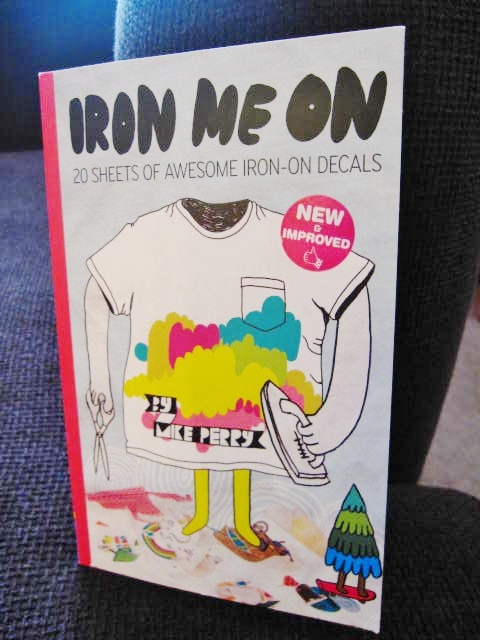 Stu had given us a cool book of iron-ons a few Christmases past–it’s coming in handy. 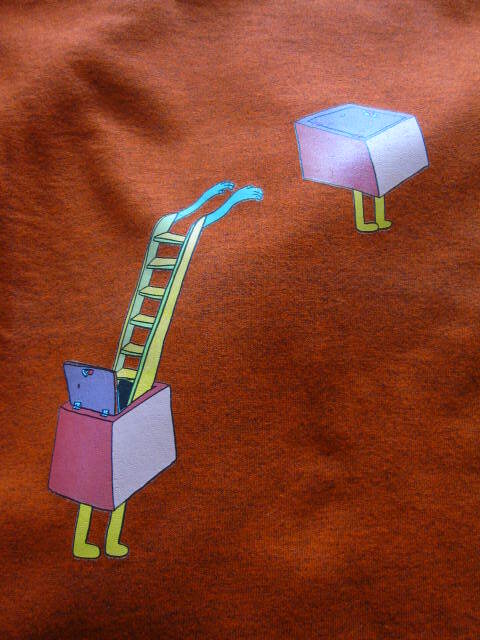 Max’s shirt. 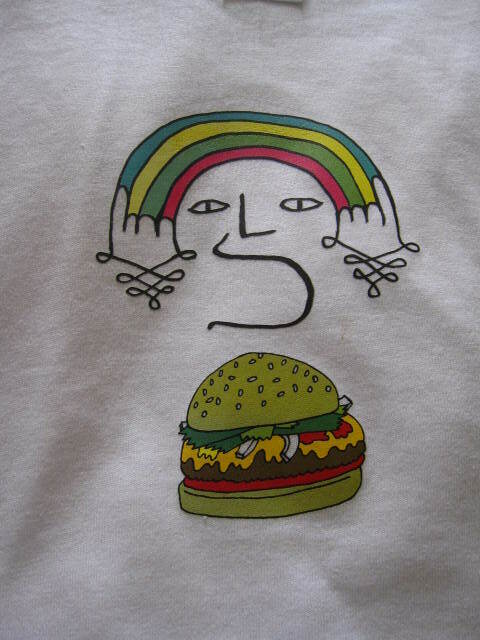 He picked out the rainbow and hamburger.